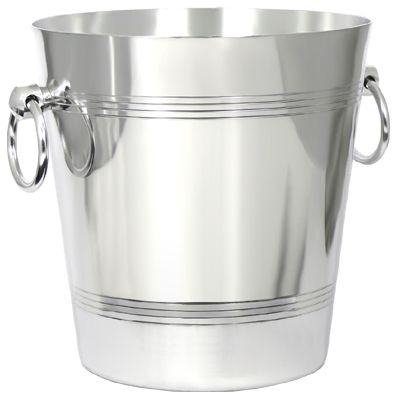 Aluminium Wine Bucket - Single Bottle Size - 750ml. 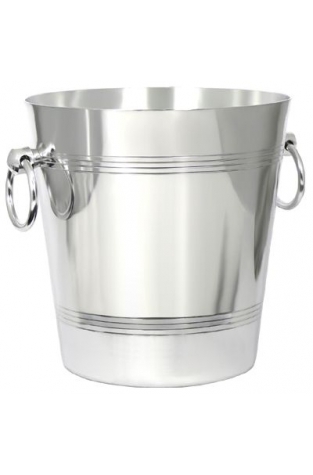 Polished aluminium wine bucket to chill a standard size bottle (75 cl.) with ring handles and two sets of four engraved rings around the circumference. A polished aluminium wine bucket suitable for a standard bottle size which is furnished with ring handles and sporting two sets of four engraved rings around the circumference. This bucket offers an economical way to chill down both white, rosé and sparkling wines for either the table or perhaps the garden in summer. Don't forget to add cold water as well as ice to the wine bucket as this speeds up the chilling process enabling you to enjoy that well-deserved glass all the quicker.